Powerful picture huh? That’s why there are a few things I wanted to talk to you about. As winter is fast approaching and winter addicts start to get stoked on the seasons first snow falls, there are things we tend to forget. “When I go get a physical from my doctor, that’s not political. But what’s happened with climate is as if the doctor were to say: “You have cancer. We need to treat it.” And you say: “Ok, but I’m getting a second opinion.” And you get not one but 98 second opinions that agree with the first, and finally one doc says: “You’re fine, relax” and you follow his advice. That’s exactly what’s happening with the science on climate. It’s crazy. In recent decades, temperatures have risen while precipitations have stayed vaguely the same. So the amount of snow during the year has decreased. Snow cover is very important because it accounts for the differences between winter and summer land surface albedo. By that I mean that since snow is extremely reflective, a great amount of sunlight is reflected out into the atmosphere. But without that cover, the earth absorbs four to six times more of the Sun’s energy. In percentage, that makes 80 to 90 percent of the energy reflected for a snow covered area while non-covered it goes as low as 10 to 20. So the colder air and chillier grounds we should be getting during the winters, happen much, much, less than with snow covered areas. Snow is more valuable than any other feature on earth for the difference between winters and summers. But that’s not the only thing. Less snow means that less water gets to where it has been in the past. It can be critical conditions for villages or towns that rely on those sources. And for a few years back now, we also use the melted snow that runs into larger streams and rivers for hydraulic power. Jobs, is also an issue. In the US over 220’000 jobs are supported by snow sport activities and with less snow, jobs are lost. In numbers, a low snowfall year results in more than 15 million less skier visits, over $1 billion lost in potential revenue in ski resorts and close to 13’000 lost jobs. The two photos below show the impact of climate change on glaciers. 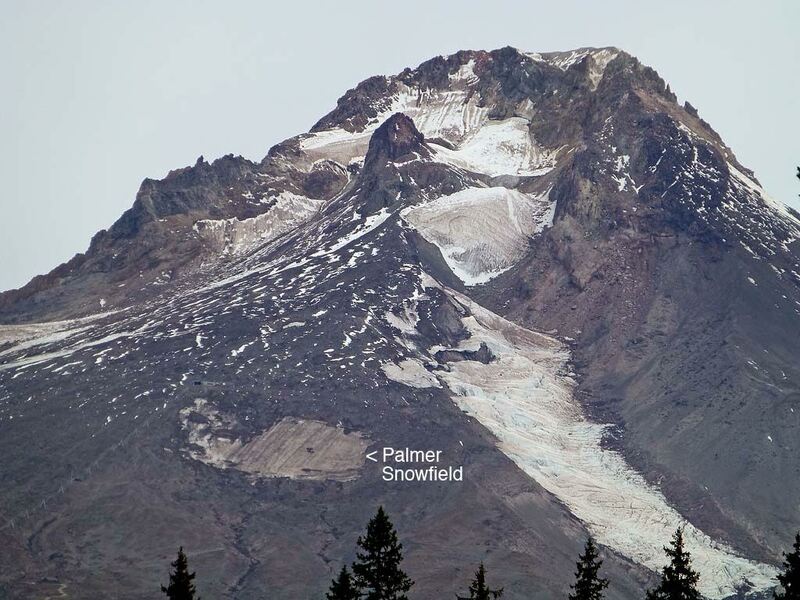 The first photo, Palmer snowfield, Mt. Hood, about 40 minutes from Portland, Oregon. The second photo is Eliot glacier also Mt. Hood. As things are happening, people are starting to come together and make a change. And that’s exactly what Jeremy Jones did. He created POW (Protect Our Winters) in 2007. 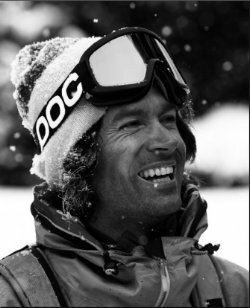 A non-profit environmental organization willing to unite snow sport enthusiasts against climate change. 12 million people have already joined in the US alone! Currently, Protect Our Winters have projects going on like New Belgium + Ben & Jerry’s = pints for POW, Hot planet/cool athletes, Pow riders alliance and many more. These athletes and over 50 more have taken part in a letter written and brought to the White House. One of the requests they made was to stop the Keystone Pipeline transporting crude oil, starting in Hardisty, Alberta (Canada) and ending in Patoka, Illinois (US). It is a big polluting source as it emits a huge amount of CO2. But on November 6th, President Obama announced it would be stopped once and for all. Write a letter to your elected officials. Request a clean energy legislation. Make people sign it and join you. Become involved in politics, vote for example. Changes start locally. Try to become more aware about what is happening to offset misinformation. Be smart about what you do, about the pollution you might be emitting. Be smart about your carbon footprint. Join communities and organizations like POW, and learn about events going on for climate change. Join POW here. Some might think these things are repeated over and over again, but when it’s about the nature you are surrounded by, the people you have met because of it and the passion you have for it, when you’re out there on those snowy mountains, it just clicks, you just suddenly get it. And if not this, I encourage you to find something that motivates you, and fight climate change. We can all do something. Posted in Sports, Student Life and tagged climate change, comment, ecolint, featured, la chat, Protect Our Winters, Skiing, Snowboarding, the update. Bookmark the permalink. Great article Laura. Convincing, Well documented and structured. ..I work as a scientist on climate change and I strongly recommend this article as a smart analysis of what is at stake. Laura made an appropriate connexion between the good knowledge that snowboarders may have about mountains and snow on the one hand and the importance of snow both for climate and water cycle as Well as for the economy, on the other. It is clear that the snowboarders community can do many things to report, alert and fight snow changes. Very convincing Laura. Clear. As you say “we can all do something”. After reading your article I joined POW.